(CBS/KOVR/AP) PLACERVILLE, Calif. - A bitter custody battle is being cited in the death of a father and his two year old daughter in California following an Amber Alert last week. 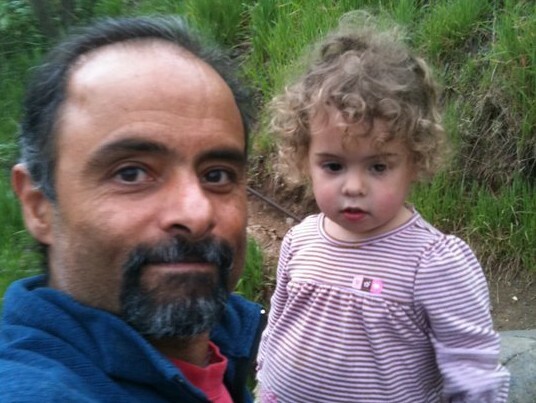 Madeline Samaan-Fay and Mourad "Moni" Samaan, 49, were found dead in an SUV around 8 p.m. Saturday after El Dorado County deputies were asked by the FBI to check the property near Placerville, authorities said. The father and daughter had been missing for nearly a week since they were last seen in a Sacramento grocery store last Sunday, said FBI agent John Cauthen. Samaan was served the day before with a notice that the girl's mother was awarded full custody of their daughter which ended what had been a joint custody arrangement, Cauthen said. He then failed to return the child to her mother as expected. The mother, whose name has not been released by authorities, reported the girl missing on Tuesday. Meanwhile, the man's brother says the order made his brother mentally ill.
"As far as a father, he was the best father I know," Mourad's brother Nabil Samaan told CBS affiliate KOVR. Nabil said Mourad sounded defeated on the day he disappeared and depressed by the custody ruling. He also feared he would lose all contact with Madeline. "I think he was devastated enough to where it was imminent," said Nabil. Although Nabil does not justify the death of a child, he added, "I perceive it more as, Moni saved the child from a future with a tyrant." The undeveloped property where their bodies were discovered is near the El Dorado National Forest which is about 45 miles northeast of Sacramento. The heavily wooded land was closed off by a locked gate. After finding the bodies, sheriff's detectives and FBI agents began processing the scene for evidence. Officials said autopsies would be conducted to determine the causes of death. However, they could not say when the examinations would be conducted. The discovery of the bodies comes after the FBI had asked the public for help in spotting the pair. The bureau had issued an Amber Alert Friday and released photographs of the father and daughter, including a photo showing them in the grocery store last Sunday.